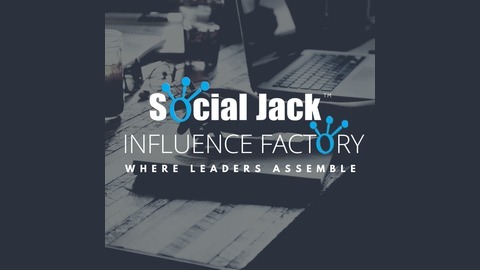 The Social Jack™ Influence Factory is a LIVE webcast that airs every Wednesday at Noon Central via Zoom and our Exclusive Facebook Group. In our Influencer News Update segment, Jackson DeLisle and Cait Hassett discuss the latest industry news to keep you updated and help support you on your journey to Influence. In the Power Move segment, we provide an actionable item that you can use immediately after listening to the episode. During the Influencer Interview segment, Dean DeLisle sits down with our influencer guest to discuss their story, how they became an influencer, as well as how you can become an influencer. Log on to ask questions LIVE online, win prizes and have some fun! Theme Music Produced by Sonixphere Video Production by Social Jack™ Productions Social Media Engagement by Social Jack™ Influencer Team Voice-Over by Laila Wenrich Brought to you by Social Jack™ About Dean DeLisle... For the past 30 years, I’ve been passionate about helping our clients build "Community" for the purpose of retention and a long term resource of referrals. Now with the recent power of the Internet and Social Networks we can help them take it to the next level. It's really an exciting time for all of us. 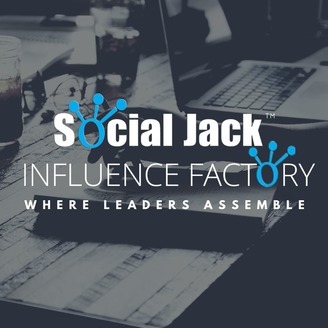 Influence Factory - Episode 58: Brian Jenkins- "Blockchain Simplified - from CNN to Tech"
Influence Factory - Episode 57: Mark Metry - "Podcasting Your Influence"
Influence Factory - Episode 56: Chris Strub - "50 States in 100 Days of Influence"
Influence Factory - Episode 55: Laura Stees - "Coaching with Influence"